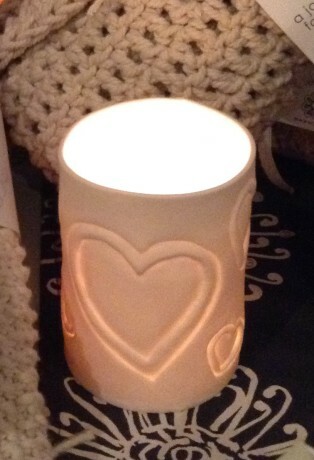 This heart porcelain Tealight holder is beautifully handcrafted by the Cape Town ceramic artist Catherine Landman. Catherine's inspiration from nature and her surroundings are evident in her beautiful contemporary ceramics collection. She explains that each porcelain Tealight holder is unique, and varies slightly in shape and size due to the shrinkage that occurs during the firing process. 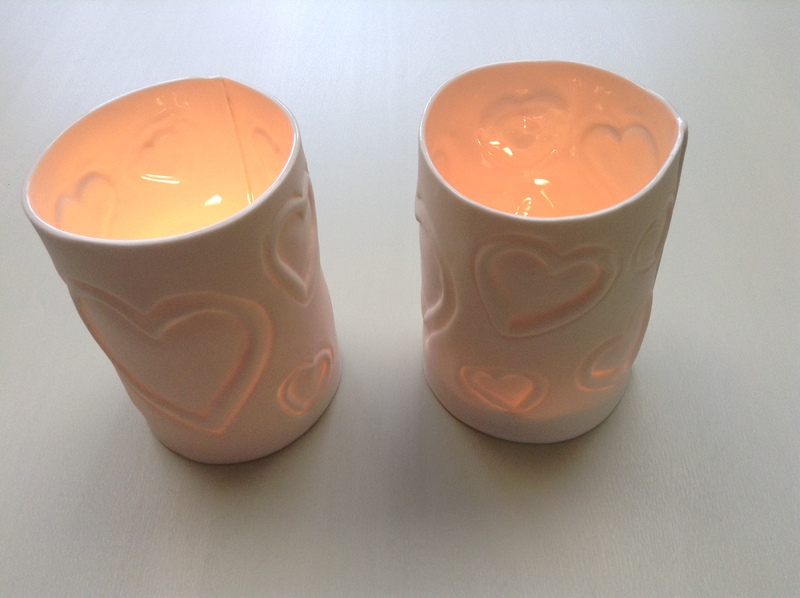 The matt outer finish of the heart porcelain Tealight holder features a carved heart design of varying sizes of hearts. Drop a tealight into the holder and the candle light glows through the porcelain, creating a wonderfully romantic ambience.